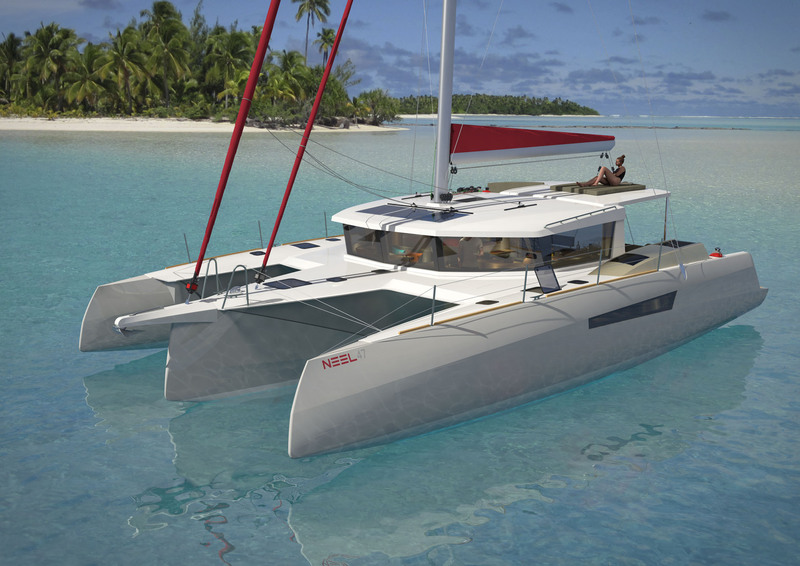 Designed by Marc Lombard, the NEEL 47 will be launched in early 2019 with an exciting new sporty design. 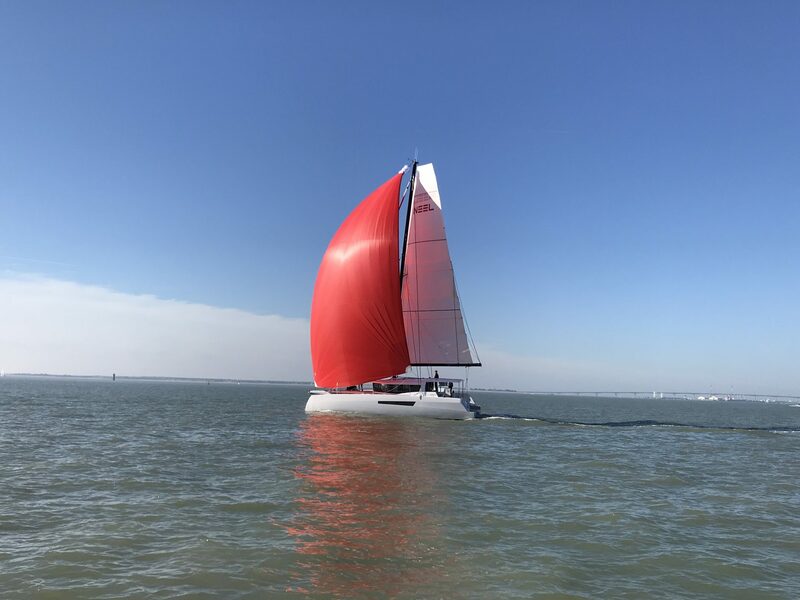 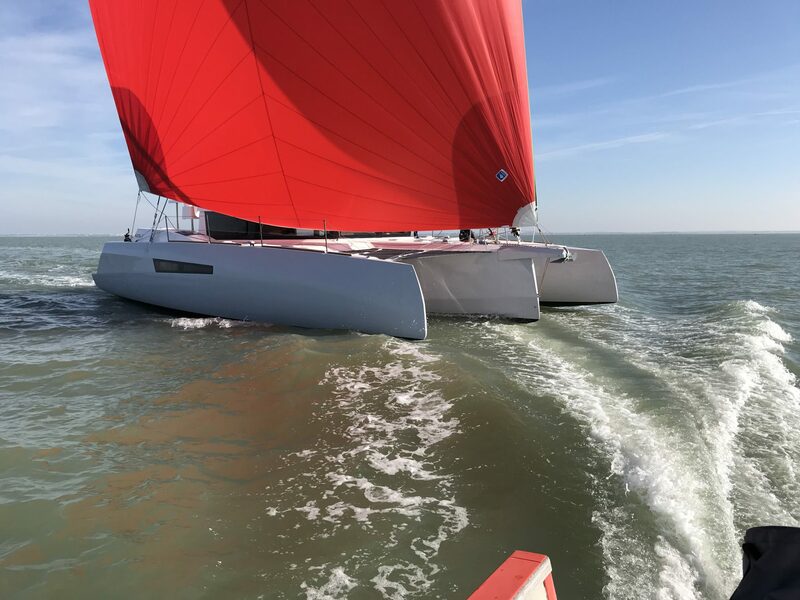 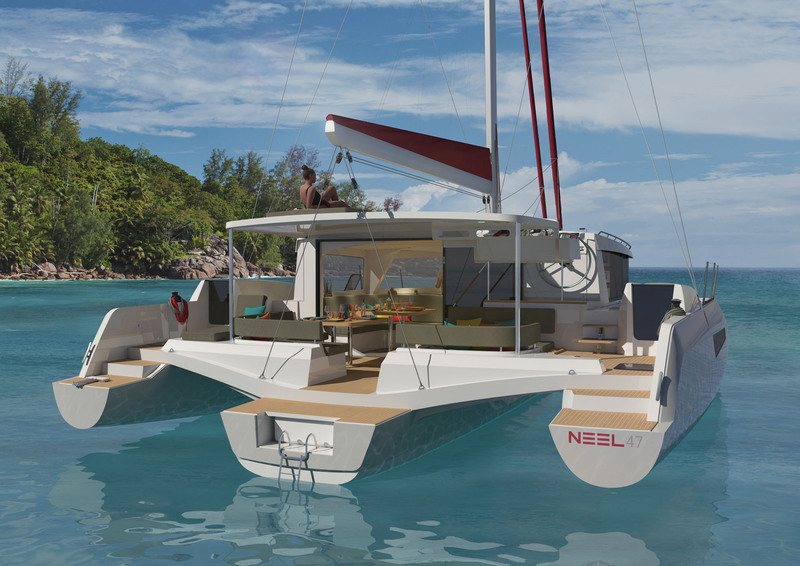 Filling the gap between the shipyard’s acclaimed NEEL 45 and NEEL 51, the new 47 trimaran has optimised ergonomics and a reconceptualised interior layout to enhance onboard liveability and offshore performance. 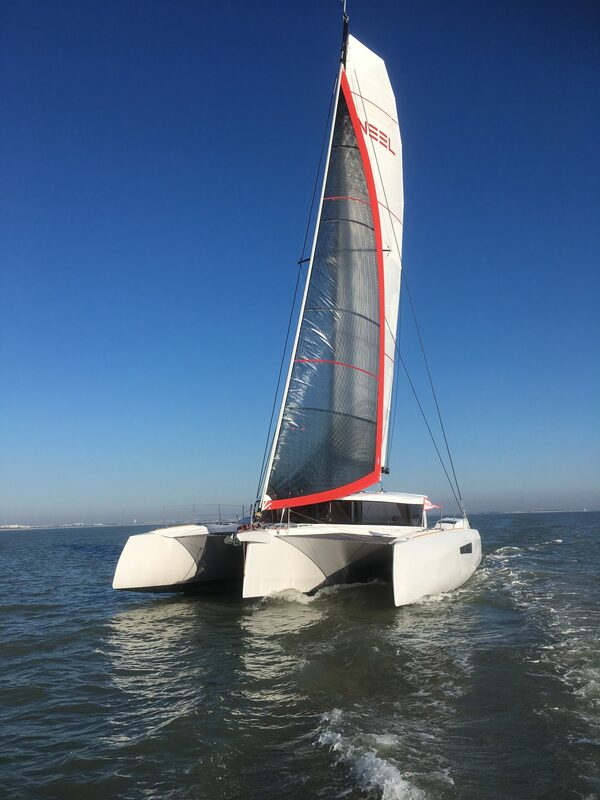 While its design has been rejuvenated, the new trimaran retains the impressive features of its predecessors: safety, easy centralised manoeuvring, steering finesse, central weight distribution and incomparable performance in all conditions. 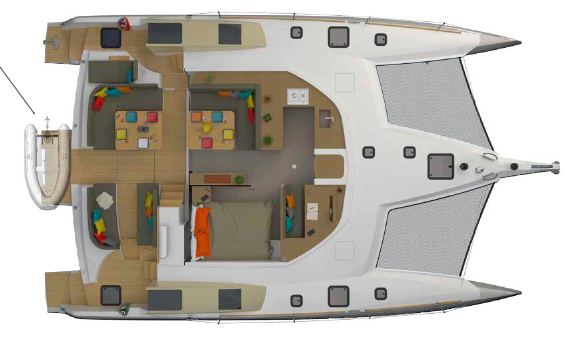 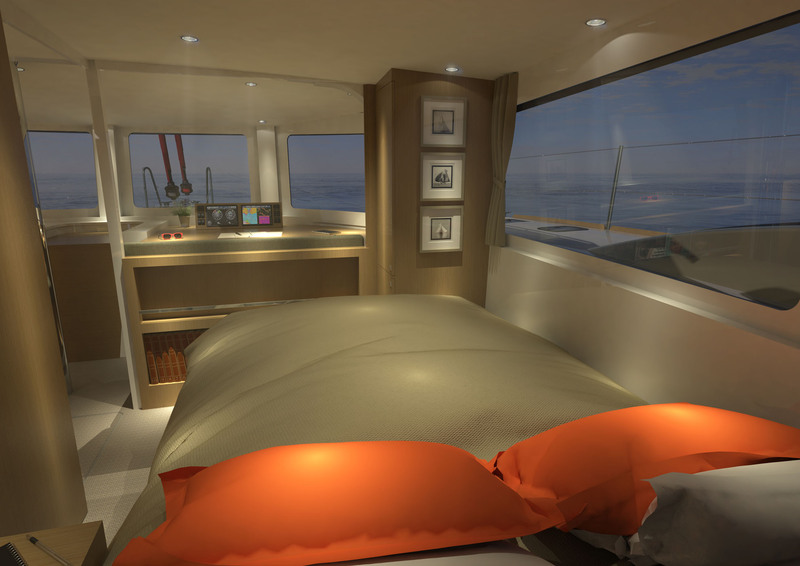 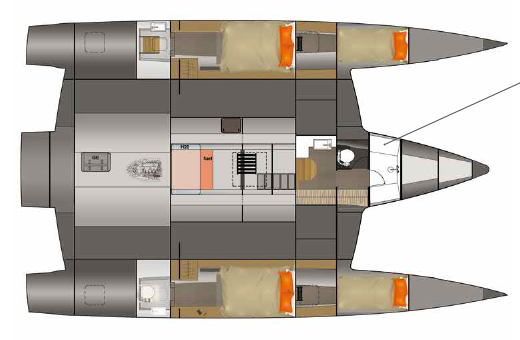 The new NEEL 47 includes the renowned Cockloon® (seamless saloon/cockpit integration), a unique design concept that has significantly contributed to the success of the NEEL 51. 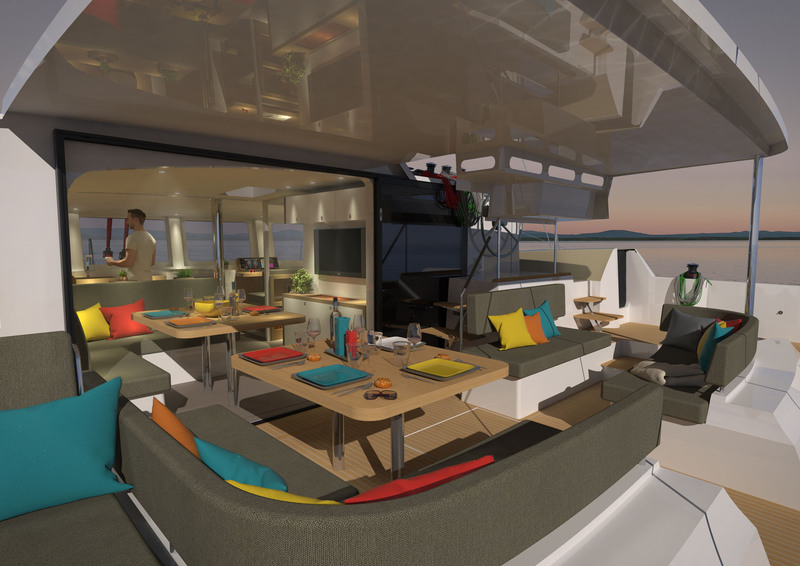 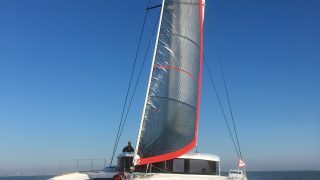 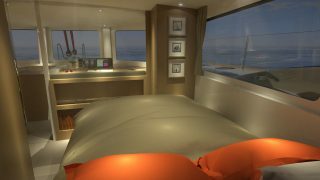 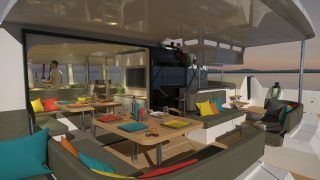 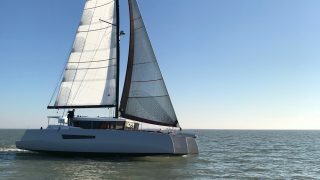 The trimaran has introduces new innovations, including the Full Beam Cockpit®, which affords numerous seating possibilities and a breathtaking 360 view, plus the Antireflex Window® that delivers a dynamic and contemporary aesthetic. 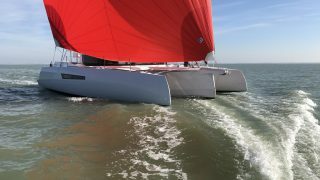 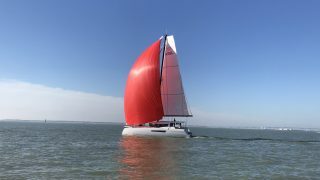 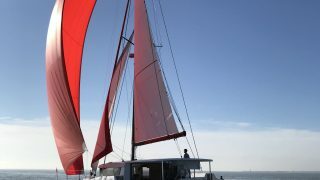 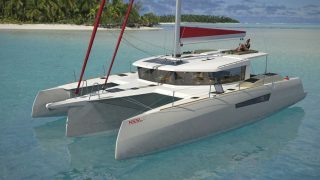 The NEEL 47 consolidates the shipyard’s reputation as one of the world’s most progressive and creative multihull builders and complements the recent renewal of its range, including the NEEL 45 EVOLUTION and NEEL 65 EVOLUTION. 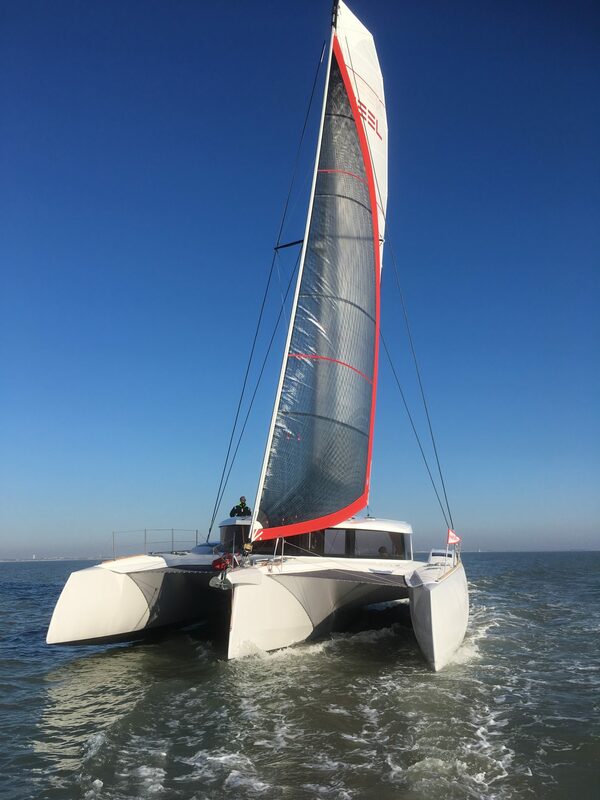 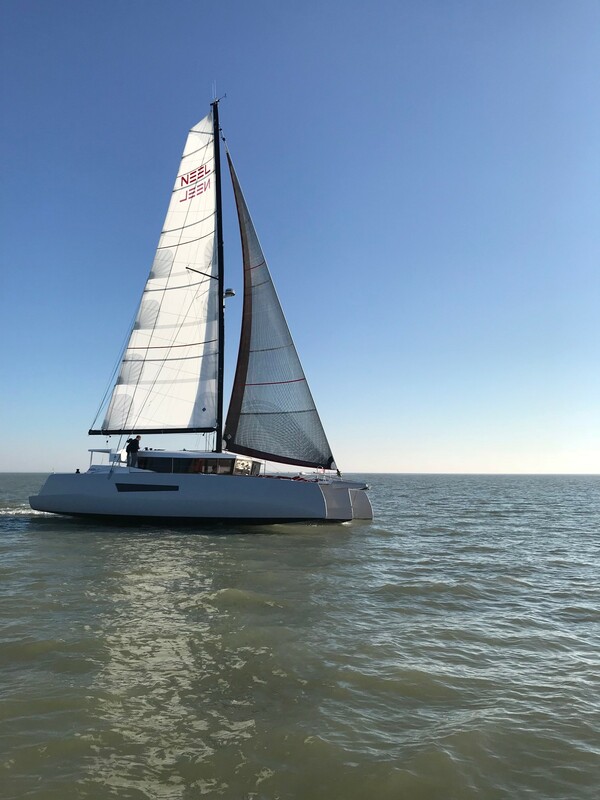 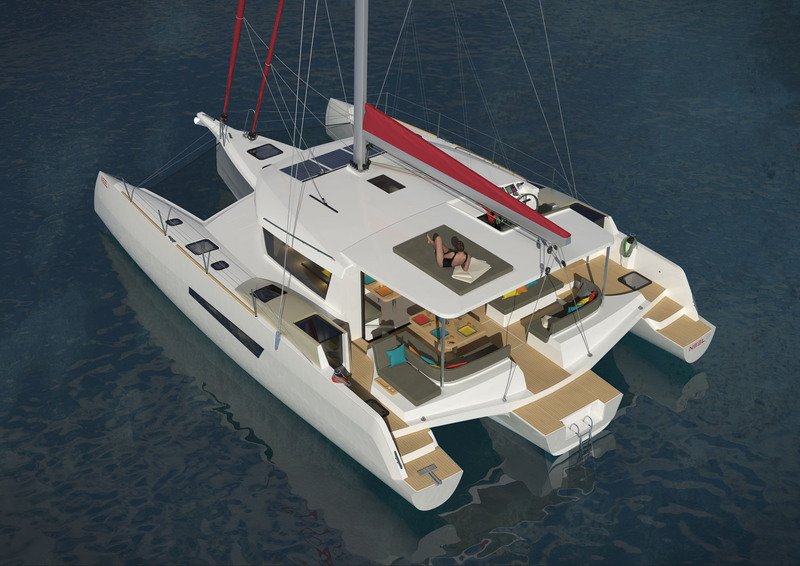 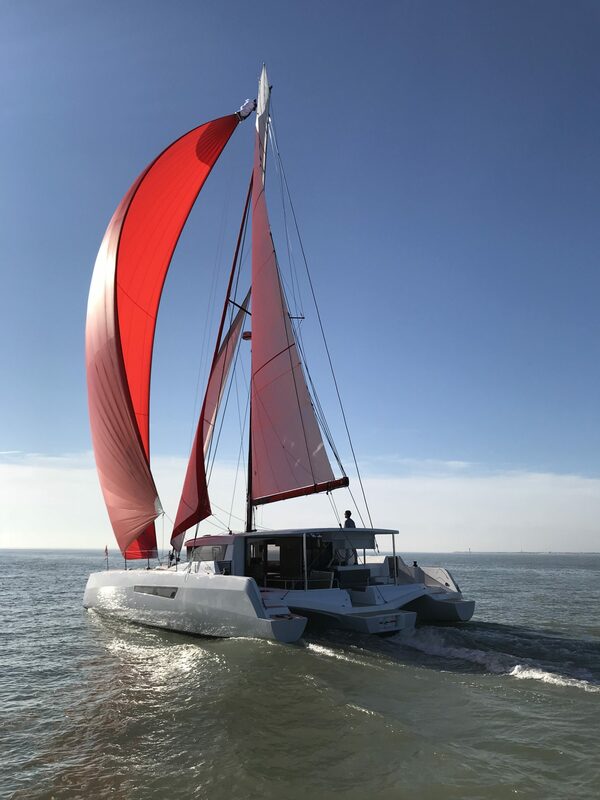 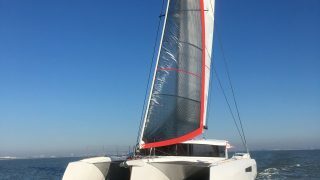 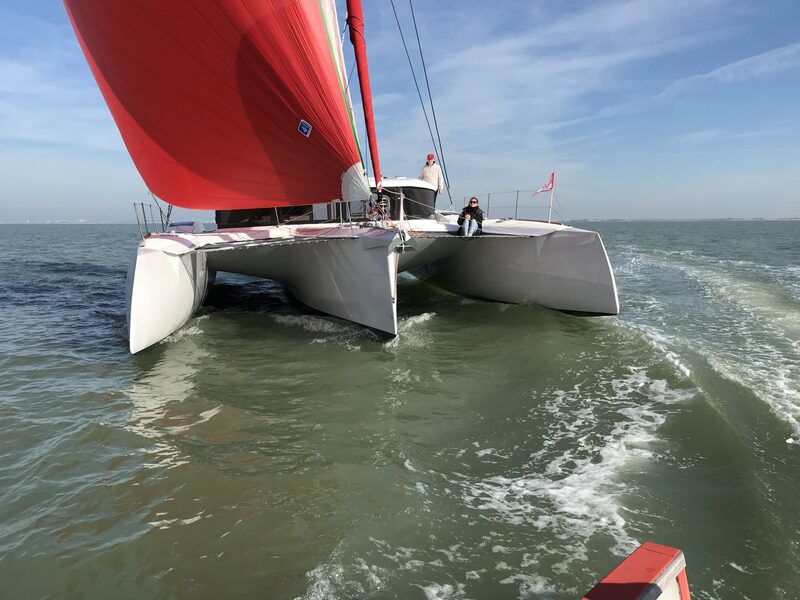 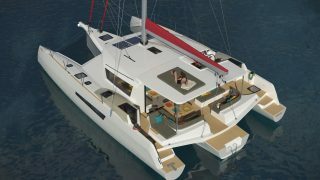 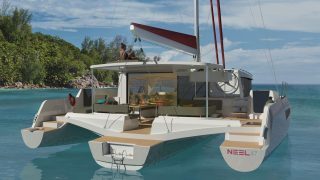 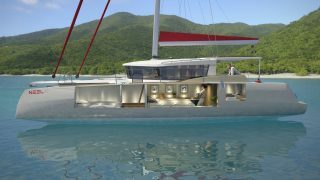 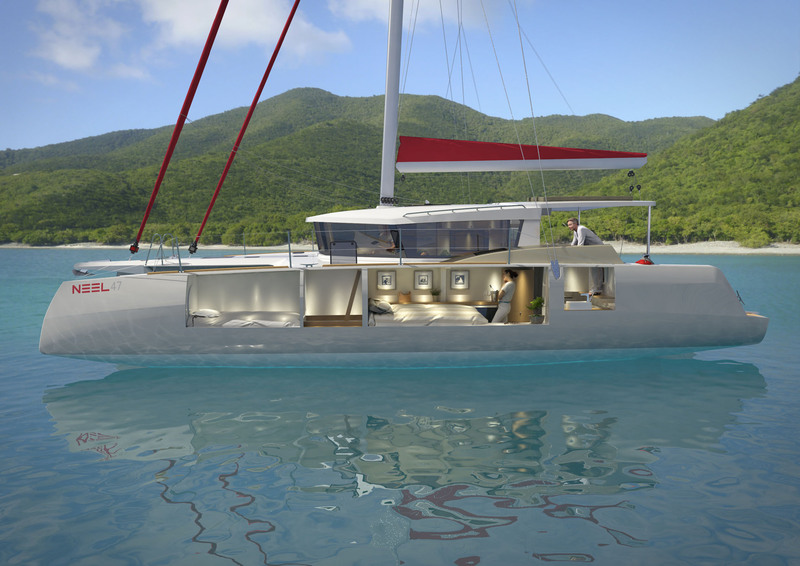 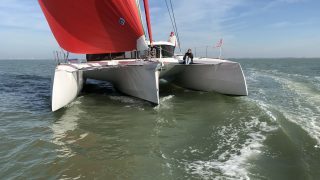 NEEL has announced plans to launch the new 47 trimaran at the International Multihull Show in La Grande Motte in France in April 2019.